Take the next step in multi-channel video and audio I/O with Corvid 24. 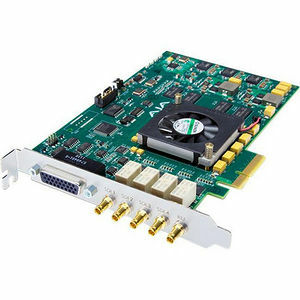 Supporting 4 channels of capture or output with separate LTC, embedded 24-bit audio and metadata for each channel all on a single PCIe card, Corvid 24 is the solution for high density I/O. All four connections can also be used to support full 4K I/O. The choice is yours. And with multiple operating system support, Corvid 24 will work in almost any environment.